Fighting the Russian and Chinese Community of Destiny: Did the US Try to Crash China’s Market Because BRICS Launched the New Development Bank? The tide is changing. The world is no longer dominated by the US, Western Europe, and Japan. The Group of Eight (G8), which reverted to the Group of Seven (G7) in 2014, has been displaced by the BRICS, which is why Russia was not bothered when it was expelled from the G8/G7 talk shop by the US, Germany, Japan, Canada, Britain, France, and Italy. Across the globe, businesses and governments anticipate the normalization of trade with Iran, with or without a final nuclear agreement between Tehran and the Permanent 5+1 (or the EU3+3). The BRICS has begun to institutionalize itself and move beyond the stage of being a coordinating forum for Brazil, Russia, India, China, and South Africa. China’s New Silk Road has gained traction while the Eurasian Economic Union (EEU) became a reality in January 2015. Plus, after fifteen years, the Shanghai Cooperation Organization (SCO) is expanding. Eurasia is integrating and forming the nucleus of an alternative and rival world order. This has the policymakers in the Washington Beltway worried. While they prevented Ukraine from joining the EEU, the US and its allies did everything to undermine and mock the EEU when it was launched by Armenia, Belarus, Kazakhstan, and Russia. Despite this, even before the Eurasian Economic Union’s first birthday, the EEU has made headway. It has already started the process of establishing free trade zones with Vietnam, Egypt, India, Iran, and South America’s Southern Common Market (Mercosur/Mercosul). Mercosur consists of Argentina, Brazil, Paraguay, Uruguay, and Venezuela. Nor has the US succeeded in isolating Cuba, Iran, Syria, or Russia. Washington has failed to bring about regime change in Syria and US officials have had to sit down at the negotiating table with both the Iranians and the Cubans. Instead the US has been isolating itself. Under Russian chairmanship, both the Seventh BRICS Summit and the Fifteenth SCO Head of States Summit overlapped in Ufa, the capital of Russia’s Bashkortostan. They were held in Bashkortostan respectively from July 8 to 9 and from July 9 to 10, 2015. Not only did Ufa demonstrate the Russia was nowhere near isolated, Bashkortostan’s capital became the launching point of a rival world order. The SCO initiated the process of expanding by accepting the September 2014 applications of South Asia’s two major powers, India and Pakistan, for full membership. If one considers Uzbekistan a founding member of the SCO in 2001, as the SCO and all its members officially do, this is the SCO’s first round of expansion. If one, however, does not consider 2001 as the founding date of the organization and looks at the founding of the Shanghai Five (without Uzbekistan) in 1996 as the birth of the SCO, then this will be the Eurasian organization’s second round of expansion. While it was agreed at the SCO summit in Ufa that India and Pakistan will become full Shanghai Cooperation Organization members in 2016, the status of Belarus was upgraded in Ufa to an SCO observer member from that of an SCO dialogue partner. Minsk now joins the ranks of Afghanistan, Iran, and Mongolia as an SCO observer member. Belarus will probably eventually become a full member of the Shanghai Cooperation Organization in the future. Iran’s bid for full membership status was also taken up at the SCO summit in Bashkortostan. Tehran has long requested that its status be upgraded to that of a full member. Once the UN sanctions on Iran are dropped after a final nuclear agreement is reached between the P5+ 1 and the Iranians, Tehran will follow in the footsteps of New Delhi and Islamabad by starting the SCO accession process. New partners were additionally accepted into the Shanghai Cooperation Organization at the SCO’s summit in Ufa. Armenia, the Republic of Azerbaijan, Cambodia, and Nepal were all accepted as new dialogue partners. They now join the ranks of Turkey and Sri Lanka as SCO dialogue partners. Membership in the SCO is being widely sought as the Eurasian organization gains more importance and prominence. The Sri Lankans have given notice to the SCO that they wish to upgrade their status in the Eurasian organization. Countries like Bangladesh, Egypt, Syria, and the Maldives have asked to join the SCO in different capacities. Egypt applied to become an SCO dialogue partner on June 2, 2015. What Russia and China are doing is forging an alternative world order through the SCO, Eurasian Economic Union, and BRICS. All three bodies were brought together in Ufa. Russia is the common denominator in all three bodies while China is also a common denominator in the SCO and BRICS. The appealing Chinese concept of a «community of destiny» that includes the People’s Republic, which was officially adopted by the National Congress of the Communist Party of China in 2007, is budding with the BRICS, SCO, EEU, and New Silk Road. Chinese officials have been promoting this concept for a few years, but it took on new life in Bashkortostan during the Ufa summit(s) hosted by the Russian federal government. «Community of destiny» – no pun intended – is the term that the policy mandarins in Beijing use to imply a special relationship of common prosperity between China and other countries, and it is materializing with the special relationship that China has with Russia and the other countries that gathered in Ufa. Washington, however, is refusing to accept the rise of Beijing and the «community of destiny» that has shown itself in Ufa. Nor has the US shown any signs that it wants to be a part of the «community of destiny.» The policy makers in the Washington Beltway refuse to see the writing on the wall and are standing firm in their refusal to accept the emergence of a new reality that is unraveling the architecture of the global order. US officials and policy elites will continue to push the wrong policies and approach until their ship sinks. Instead of accepting consensus and a system of global governance, Washington is doing everything it can to destabilize, divide, and destroy the «Silk World Order» that China and Russia are promoting. The US position is leading the world towards conflict. The financial architecture of the world is being altered too. The US dollar is gradually being neutralized as a US weapon while the monopoly of Washington’s Bretton Woods system formed by the International Monetary Fund (IMF) and World Bank is being directly challenged by the BRICS News Development Bank (NDB) and China’s Asian Infrastructure Investment Bank (AIIB). China, Russia, and a coalition of other countries are de-clawing the US by weakening its ability to manipulate currency values and the world’s financial markets. The SCO is not only expanding. 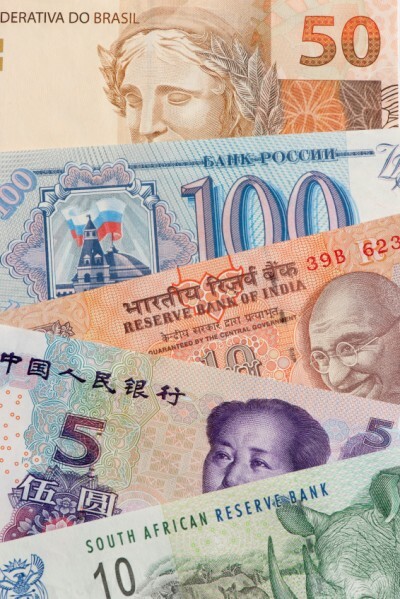 The SCO and an entire series of countries and international organizations that are primarily located in Eurasia and Latin America are ditching the US dollar in bilateral and multilateral trade. Venezuela, Cuba, Argentina, Uruguay, Sri Lanka, Turkey, Belarus, Armenia, Kazakhstan, the Socialist Republic of Vietnam, and the Democratic People’s Republic of Korea are among these countries. Aside from the SCO, the Bolivarian Alliance for the Peoples of Our America (ALBA), BRICS, Mercosur, and the Eurasian Economic Union are the organizations and groups that are replacing the US dollar in trade. As a response, the economic war that the US has been waging appears to have taken a new turn as well. Using speculation of an economic decline in China as a psychological weapon and market manipulation, Washington’s reaction to the steps taken by Beijing and Moscow to curb US influence and the US dollar appears to have led to the launching of a financial attack on the Chinese stock market. The aim of the attack was to hurt investor confidence in the Chinese economy and to ignite divestment through massive selloffs. The Chinese have blamed the US while the US Treasury Department has rejected any responsibility whatsoever. Beijing’s reaction to the attempts to crash the Chinese stock market has been to calmly step in with regulations that restrict investor withdrawals. Both the China Securities Regulatory Commission and the Chinese police are launched criminal investigations. The US wants to obstruct the pivotal role the Chinese play in financing major banking, infrastructure, and development projects that challenge Washington’s global influence. 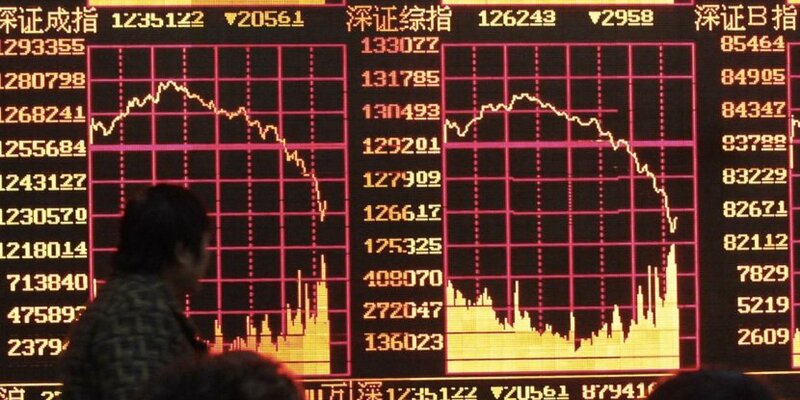 The crashing of the Chinese stock market is aimed at initiating panic among investors. Ultimately, the move is primed to undermine the economic vigor of the People’s Republic with the goal of crippling the New Silk Road and Beijing’s project to create an alternative world order with Russia and their BRICS, SCO, and EEU partners. This article was originally published by the Strategic Culture Foundation on July 13, 2015.